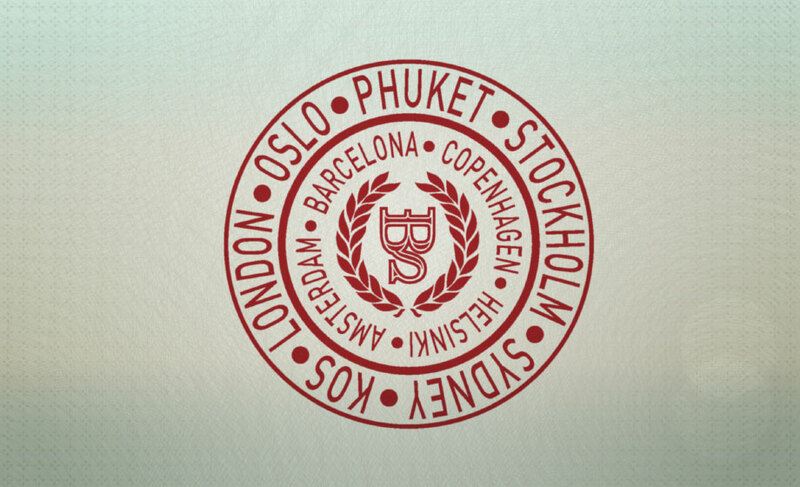 EBS Sweden has three branches, Göteborg, Malmö and Stockholm. I made an early decision to loosely base the shape of each stamp on the countries real stamp… Then I realised that with the EU most of Europe have the same super simple rectangle. The solution was to look back in time a bit and add some variation by mix and matching some of the older designs. Before the current design EU counties were using a rounded rectangle with a double line. 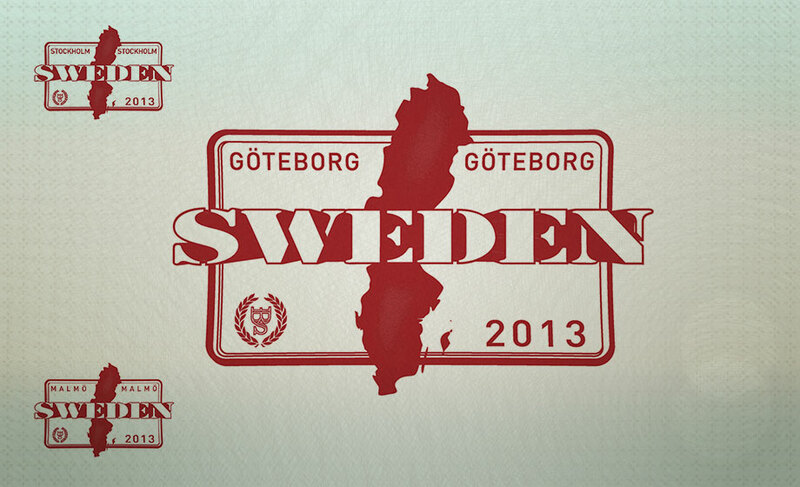 Like the one I’ve used for Sweden. EBS Austria. Learn bar skills. Go skiing. The country names needed to be loud and clear. I sifted through my font collection for a stylistic nod. 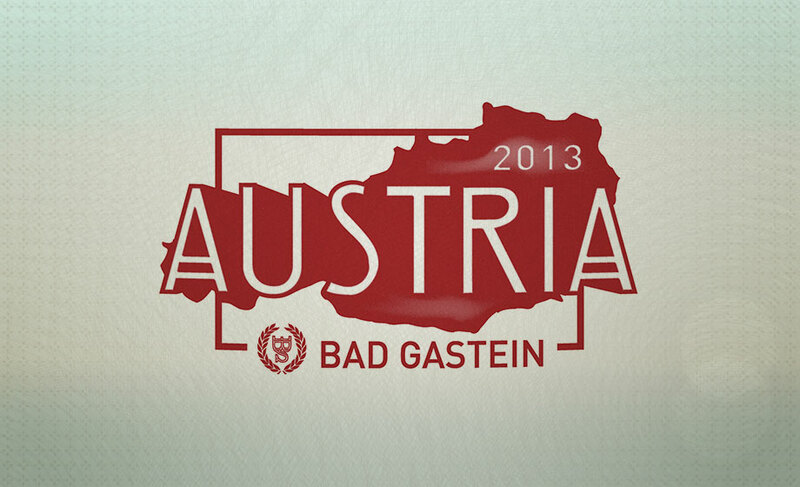 For Austria it was obvious, find an Art Nouveau influenced font. EBS Uk. 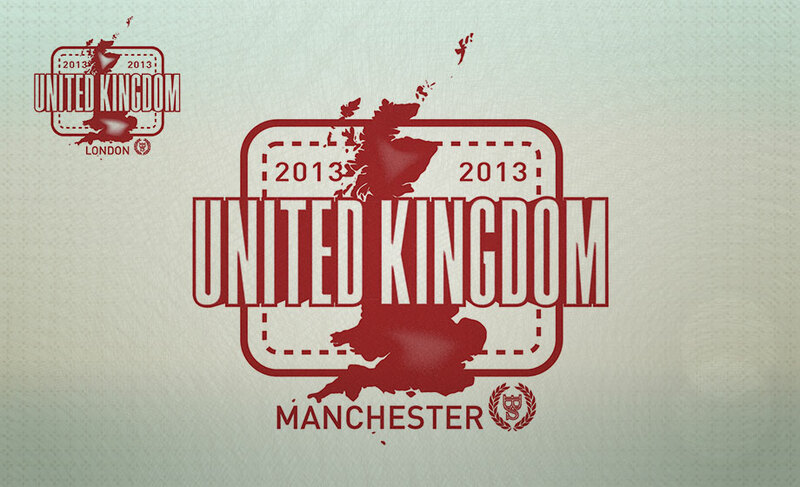 Branches in Manchester and London. Typically, the UK liked to do things different with their round cornered square stamp. EBS Thailand. Fancy going to bartender school in Phuket? Thailand’s exotic stamp included the airport code in the border. Replicated here using the year 2013. 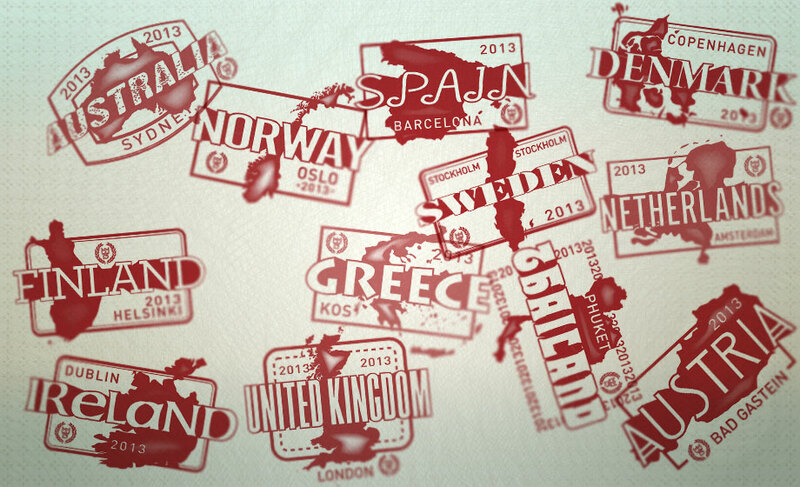 All the stamps are available with 2013 and date free using the country’s top-level domain code. EBS Australia cobber (Yes, I just said that. I spent a few years in Oz you know!). 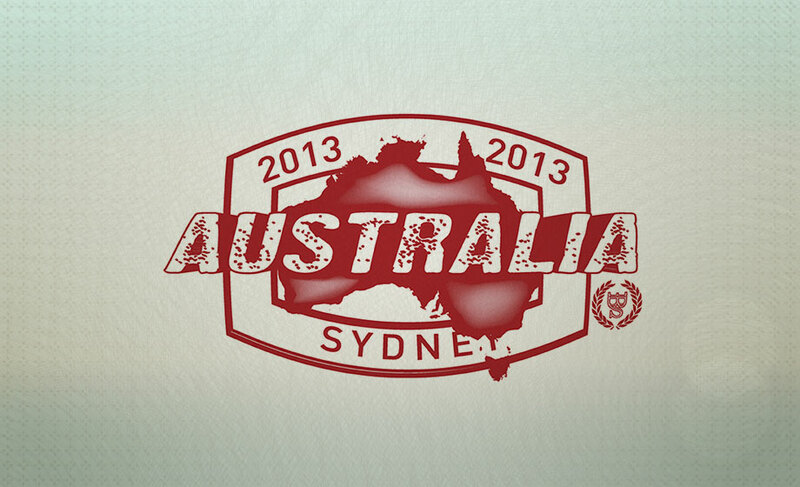 I did the Australian stamp first. I did a lot of Ozzy stuff in the 90s for a T-shirt company. This brought back memories :-). All stamps were created in Adobe Illustrator. Vector country outlines exported from the maps in OmniGraffle. The stamp effect built up with filters, including Warp, Gaussian Blur and Chalk. The country name through the middle has been extruded with the 3D filter. Yep. These bad boys can be output to whatever size is needed! Early design for the EBS stamp. Finally went with the cities in one circle. 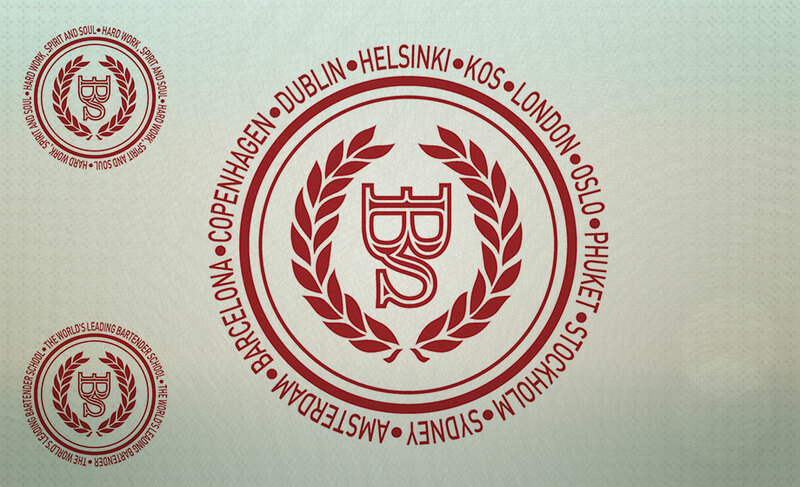 The EBS stamp, surrounded by cities with branches. On the left with brand building messages. Later Nick got in touch. I created two more versions of the roundel. This time with branding messages. EBS wanted to get some wallpaper made. Best not to use the one with cities around the edge, as It’ll be out-of-date in no time. I’ll see if I can get a photo. One more thing of interest before I sign this post off. The first round of designs were much more smudgy and stamp-like. I put then up on Dribble. You can see the thumbnail here. See the stamps on the EBS website. Here’s a link.